This case involved a collision between a motorcyclist and a pedestrian, who was attempting to cross a road at an “informal pedestrian crossing”. This consisted of two bollards each on raised islands, in the middle of the road, with a gap between them. It was common practice for a pedestrian to stand in the gap between the two bollards and wait until the remaining carriageway to be crossed was clear. 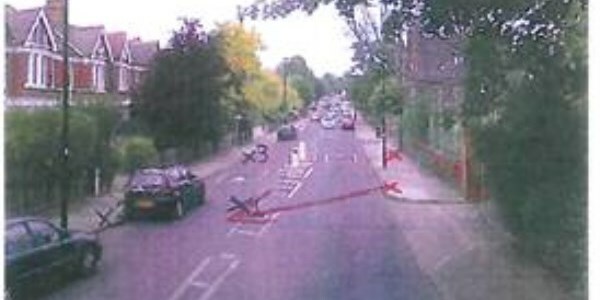 The evidence given by the motorcyclist Gavigan was that the claimant Scott had run out in front of his motorcycle from this informal crossing, when he was at a distance of about 10 metres away. Gavigan tried to swerve to avoid the claimant but ended up clipping his leg, causing him significant injury. At first instance, it was held that Scott was entirely to blame for the collision; he had been intoxicated at the time of the accident and his careless act of running into the path of the defendant’s moped could not be described as reasonably foreseeable. The Court of Appeal then agreed with this conclusion and Scott’s appeal was accordingly dismissed. However, in its judgement, the Court did make clear its doubts that Scott’s behaviour amounted to a new intervening act in the chain of causation. It recognised that it was unfortunately not that uncommon for a pedestrian to run out into the road carelessly or recklessly, and only in extreme circumstances should a defendant be absolved of all liability. A motorist owes a duty of care not to injure even the foolish.